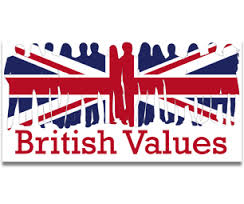 TEACHING AND PROMOTING BRITISH VALUES AT WEST HILL PRIMARY SCHOOL At West Hill Primary we understand that the society we live in is diverse and therefore, our curriculum and life within school reflects this. For our pupils, we aim to continually weave the thread of social, cultural, moral and spiritual British values throughout day to day school life. This has been something that we have been doing at West Hill for the past two years. We aim to build a community that is cohesive and that challenges any ideology that seeks to undermine that cohesion. Underpinning this are the values and understanding of democracy, law, individual liberty, respect, tolerance, tradition and heritage. The ‘Equality Act 2010’ protects all individuals from discrimination and it is the schools duty to ensure that all individuals have equal access and opportunity to all that is on offer. Funding, including that for pupils with special educational needs and disabilities (SEND) and disadvantaged pupils, is used to target inequalities, to ensure equality.